For one brief moment Nela held on to the blessed silence that so rarely visited his home. Helen was wonderful, but she almost never stopped talking and, from time to time, Nela liked for it to be quiet. But now wasn’t a time to relish the peace that was merely the eye of the storm. Helen was furious. In some ways Nela didn’t blame her. He wouldn’t be too happy about the arrangement either, but it was necessary. She loved to use hyperbole to win arguments. 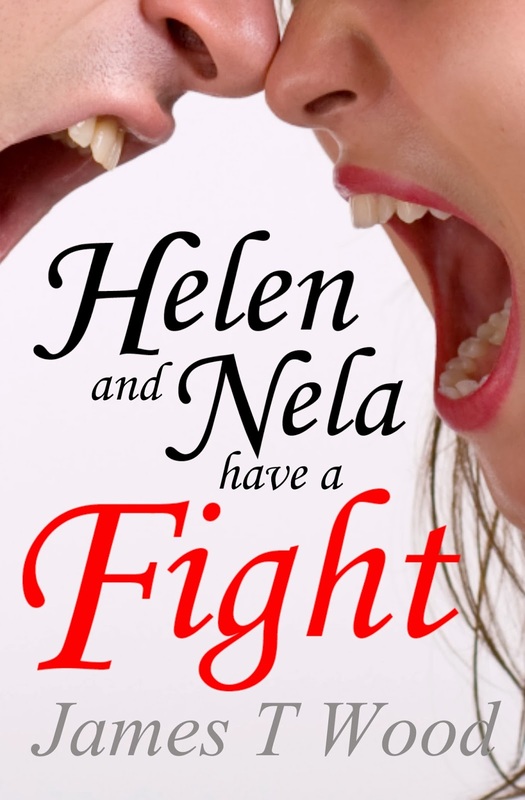 Helen never let anyone else win, especially not Nela. He was forever on the losing end. “Honey, hear me out,” Nela pleaded. She paced like a caged lioness, occasionally stopping to glare at Nela. He took in the form and beauty of his wife and, as always happened when he stopped to regard her again, he was awestruck. She was too lovely for this world, too lovely for a man like Nela to be sure. Her graceful, bare feet gently slapped at the floor as she walked back and forth in front of him. Each stride rustled her long dress which would occasionally show her long, smooth leg up to her thigh. Her shoulders were bare and bronze from the constant sun and her arms held the strength of a man with the grace and fluid lines of a sculpture. When she turned to pace in the opposite direction her flowing ringlets of hair flared out from her shoulders and showed her long, graceful neck. The neckline of her dress dropped low between her breasts, heaving with her agitated breath, but in her usual fashion she chose a cut that suggested far more than it revealed. Nela knew the glory of his wife’s form, but the dress caused him to imagine rather than see it. Her eyes flashed fire and passion that intoxicated him from the first moment he saw her until this one. Familiarity could numb him for a time to those stunning blue windows, but eventually their power over him would reawaken and he would lose himself. Her mouth was set into a firm, straight line, but she could as easily slip into an easy, warm smile that could satisfy Nela’s every hope for life. It was that beauty, unbridled and unequaled, that scared him. He wished it were different, but the truth was that they lived in a world that wasn’t safe for anyone, let alone Helen. If Nela didn’t protect her, he feared the worst could happen. He had seen it before and knew he would see it again. He just hoped that he would never see that kind of violence against his wife. “What happens when your jobs are in conflict?” Helen stopped her pacing and looked straight at him. Nela couldn’t deny her logic – since when did she start using logic in her arguments – but it left him cold to consider the possibilities. If these people were who he suspected, then… he didn’t even dare think of the cost that Helen would pay. But if they were honest, he might be sacrificing the fate of thousands for the sake of one. Before Helen this wouldn’t have been an issue. He could take risks and reap the rewards. He could look out for his people first and if it hurt him, that was no matter. Nela’s body bore the scars from the countless times he had risked for his people. He would do it all again, for their sakes. Even knowing the aches that would greet him with each change in weather, the painful tightness between his shoulders when he pulled a shirt over his head, and the incessant creaking of his joints whenever he moved. But not Helen. He wouldn’t risk her. Nela would take a thousand more injuries, bear a thousand more scars, and ache from now until eternity, but he wouldn’t dare risk one moment of pain for his wife. Not even for the sake of his people. Not even for the sake of his entire kingdom. “You must leave, Helen. I can’t protect you and be the king at the same time. It will only be for a short while. They will come and leave, then I’ll send for you – better yet, I’ll come get you myself.” He strode across the room and wrapped her in his arms. “I know that, I just can’t…” she knew what he couldn’t say. With those words he felt he could do anything, conquer anyone, face any risk. He looked down into the still-stunning blue eyes of the wife he didn’t deserve and plummeted into them. She devoured him, body and soul, and he went willingly. Nela bent down to kiss the lips of his beloved, soft and tender. Her mouth opened and she devoured him again. Nela broke free of her lips to begin kissing that marble column of a neck, smooth and straight. He started at her ear and slowly descended to her shoulder. He was about to continue his southward migration when he heard a throat clear behind him. He cursed his position and, for a moment, was tempted to abdicate so he could be with his wife uninterrupted. “What is it?” he turned to the servant at the door. “Yes sire,” the servant turned and motioned to some people outside the door. As they stepped through they met the stentorian proclamation of his servant. “Pay all homage and respect to the royal court you are about to enter. You come as diplomats and are afforded such respect in return. Bow before his royal majesty, King Menelaus of Sparta and his Queen Helen. If you liked this story you can buy (or just review) it on Kindle here. I enjoyed the anticipation as it built to the end.